For settlement agents, digital closings reduce risk, improve quality control and increase productivity. Today, a digital mortgage strategy is a competitive necessity and essential to accommodate growth and provide direct access and speed of delivery of mortgage documents to the secondary market. Additionally, digital processes enhance investor quality and capital efficiency. In an effort to reduce barriers to entry, eOriginal recently launched the Close with Confidence program. The program provides settlement agents access to key lender documents, including the eNote, in a fully digital environment. “Digital mortgages do not exist without the promissory note signed electronically. The Close with Confidence program is designed to make it easier for settlement providers to coordinate with lenders on their eNote initiatives,” said Kevin Wall, president of First American Mortgage Solutions, a part of the First American family of companies that provides comprehensive solutions for residential lenders and servicers covering the entire loan spectrum. 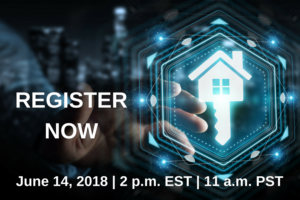 Next week, we are hosting an educational webinar, Mortgage and the State of Digital Closings: What’s Possible and Capturing the Benefits. In this session, eOriginal’s Simon Moir will be joined by fellow industry experts, Jennifer Parker of Notarize and Scott Gillen of Stewart Title to highlight the state of the industry as it pertains to digital closings, what needs to be done to move away from paper and the competitive advantage digital processes support. This is a must-attend session for anyone in the mortgage ecosystem. Register here. As you can see, momentum continues to grow for all things digital in mortgage and we are keeping our finger on the pulse of what is to come and how technology can improve processes and accelerate speed and capital efficiency. If you would like to learn more about the Close with Confidence program, please email digitalmortgage@eoriginal.com. This entry was posted in Digital Mortgage, Mortgage and tagged eNote.